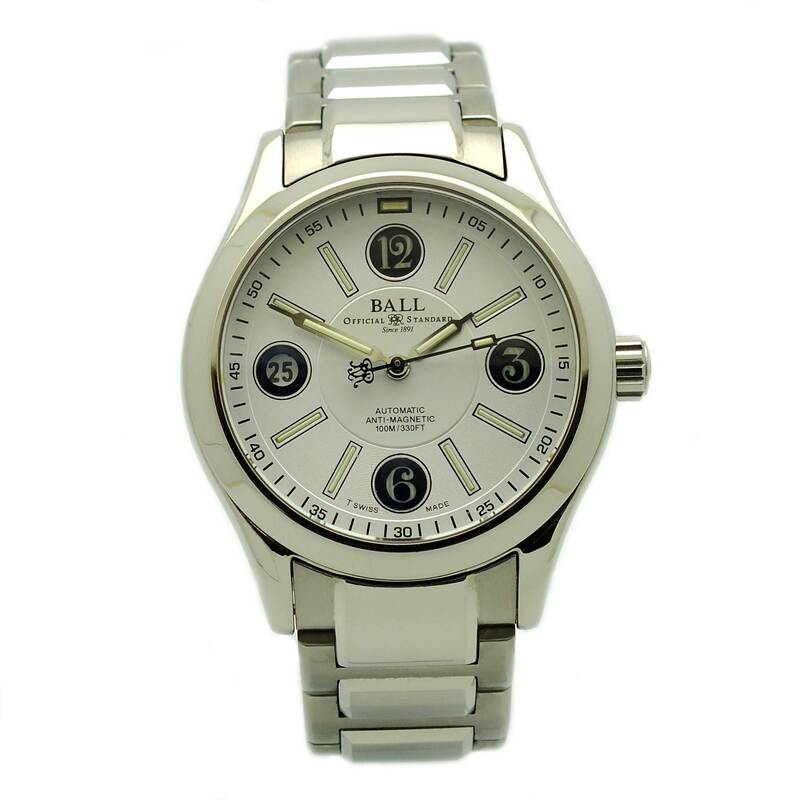 Ball Watch Engineer II Moon Glow in stainless steel. 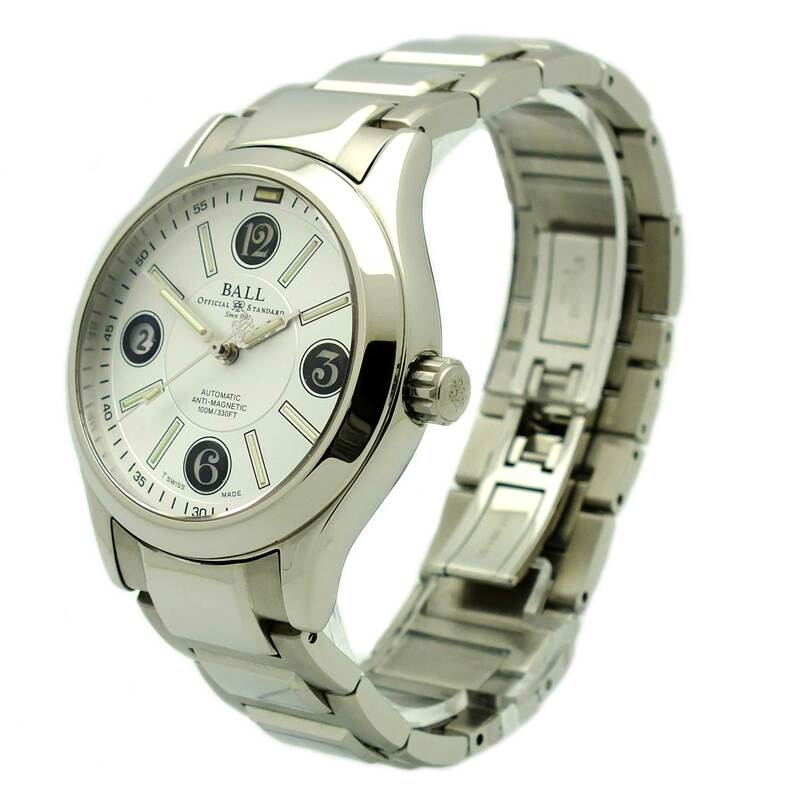 White dial with Arabic numerals and stick hour markers. 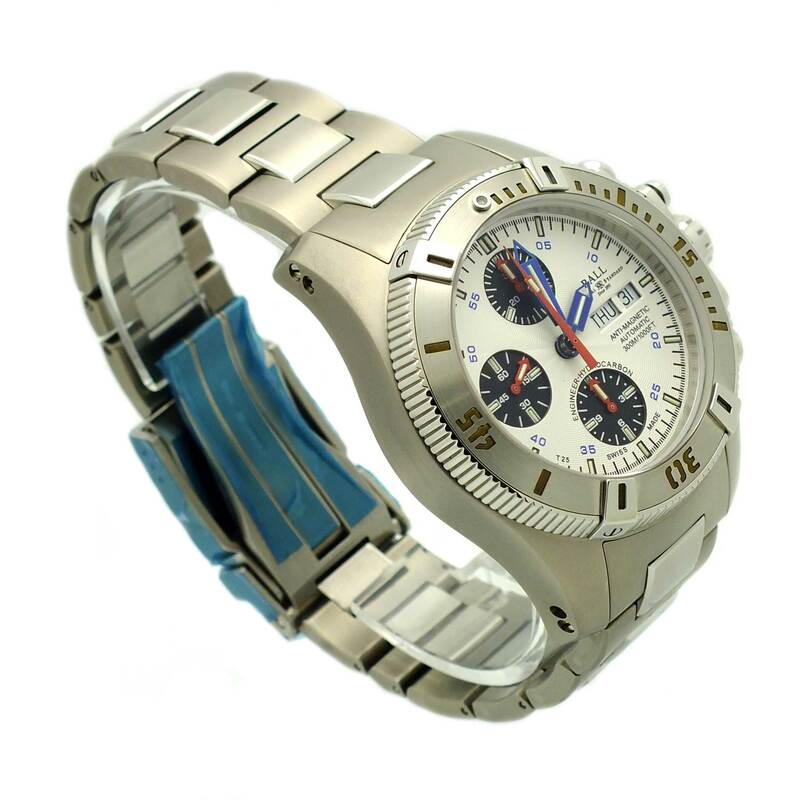 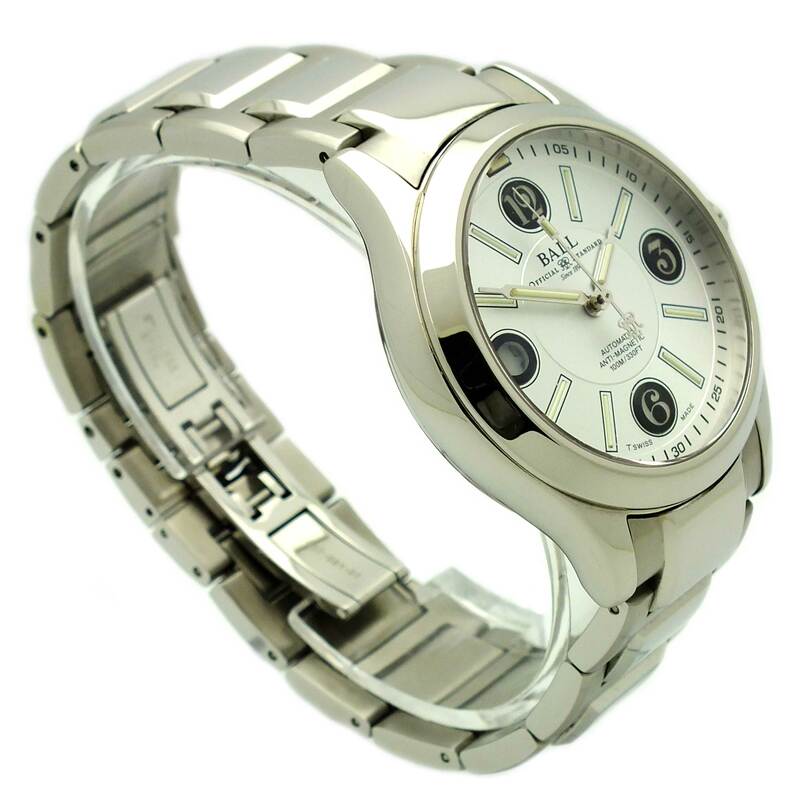 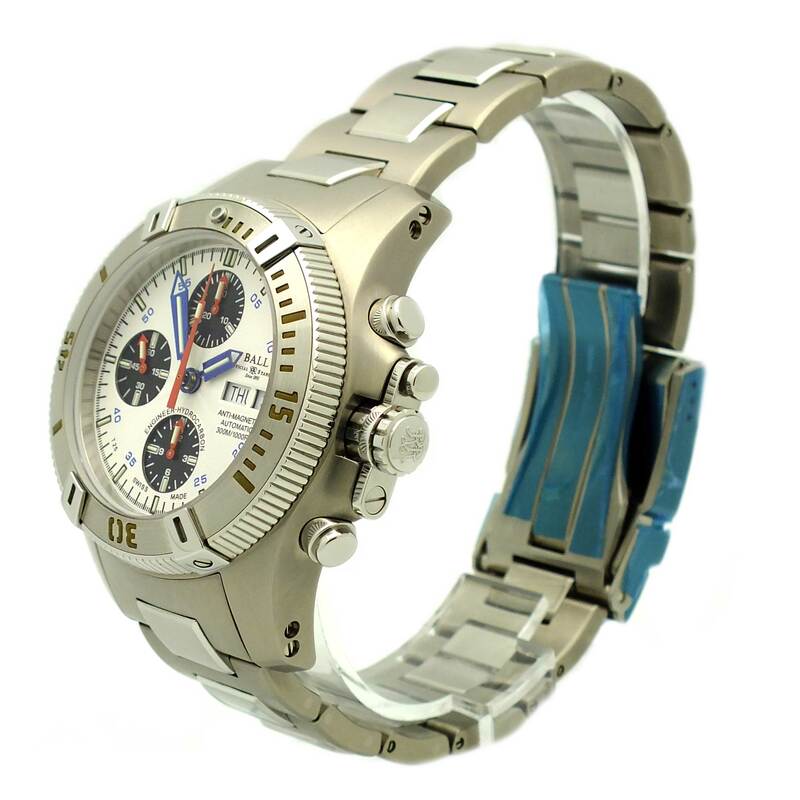 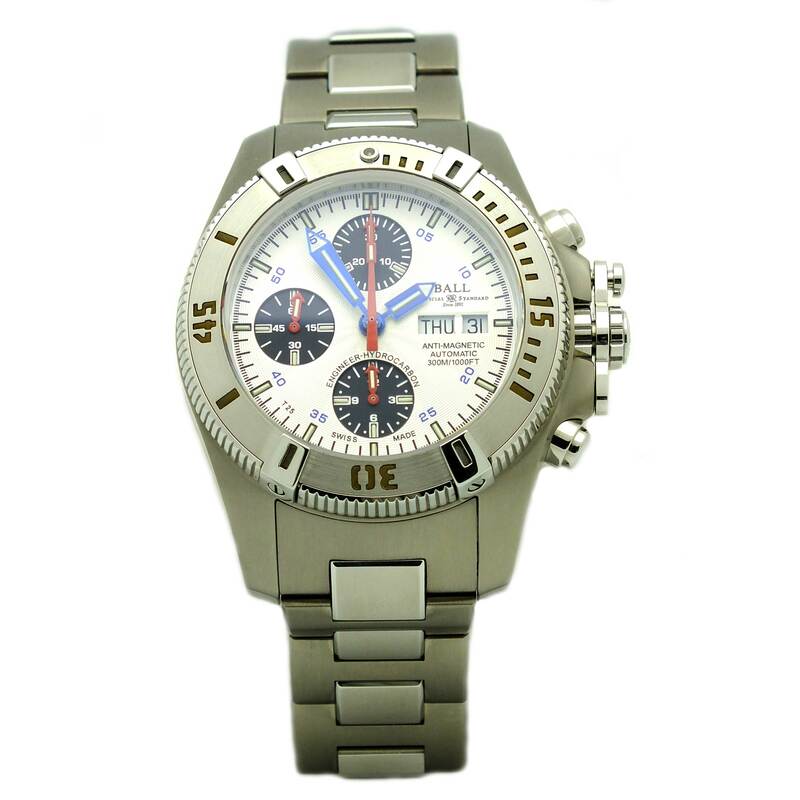 Ball Watch Engineer Hydrocarbon Chronograph in titanium and stainless steel.